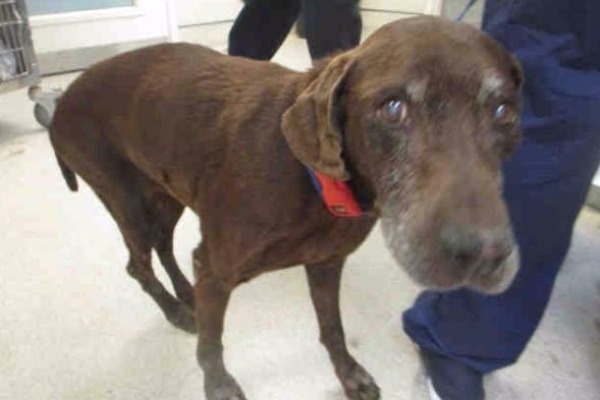 No words here...just in yesterday....LOOK AT HER AGE...I don't think a dog this old can survive a 2 week hold in the shelter...KC alone could kill her. The poor thing might be old but doesn't it deserve to live it's last days with someone giving it hugs and lots of love ? Make him as much comfortable and happy as he can be. Please help pledge if you can to help entice rescue interest. This sweet girl needs another chance at a forever home. I am a female, chocolate Pointer. The shelter staff think I am about 18 years old.